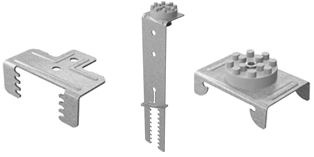 These systems use clips and hangers in order to suspend a grid of Furring Channel and Top Cross Rails below a supporting structure which can then be sheeted with a Knauf plasterboard or ceiling lining. This allows the designer to bring the ceiling level down to the required height and provides space in the ceiling cavity for services such as air-conditioning. 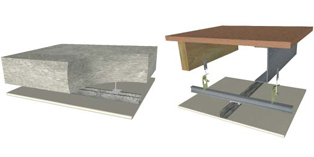 There are a variety of systems that can be suspended below a supporting structure, which can then be sheeted with many types and multiple layers of board. 16mm Domestic Batten AFCDB16 is typically used for domestic applications in the southern states, mainly New South Wales and Victoria. 28mm Furring Channel AFC28 is the preferred product for commercial applications due to its superior spanning and load bearing capacity. Battens and Furring Channel are connected to a Top Cross Rail using an associated clip. AC79SRES can be used with Furring Channel systems to improve the acoustic performance of the ceiling. 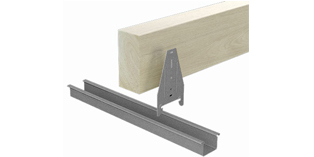 25mm Top Cross Rail is typically used in domestic and light weight commercial ceilings. 30mm Top Cross Rail is typically used in light weight commercial ceilings. 38mm Top Cross Rail is typically used in medium to heavy weight commercial ceilings that are being sheeted with two or more layers of board. The required spacing of the studs will depend on several factors.  Maximum spacing is 600mm, however closer centres such as 450mm or 300mm may be required to increase the load bearing capacity or to span a further distance, refer to Knauf Technical Manual.